Reporter Dan Weissman took us on a wild ride to find that the answer is in fact, 'Chicago has no salt to mine.' Find out more, and learn why Detroit sits on top of 300 plus acres of salt and we've got none. 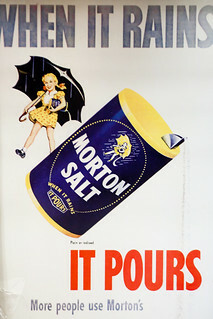 And can check out our video showing the fascinating insides of the Morton Salt stockpile in Chicago.